The 30th Annual Harriman Cup took place on Saturday, September 13, 2014 at Bethpage State Park. Joe Meyer, the President of the United States Polo Association, was on hand to give this year’s Harriman Cup Award to Stephen A. Orthwein. Orthwein is one of the Co-Founders of The Harriman Cup; he was also the former President and Chairman of the USPA. According to Orthwein, “I am very honored…College polo is very important. It's probably the funnest polo people will play in their lifetime. I'm delighted to have had the opportunity to support it and play in it." 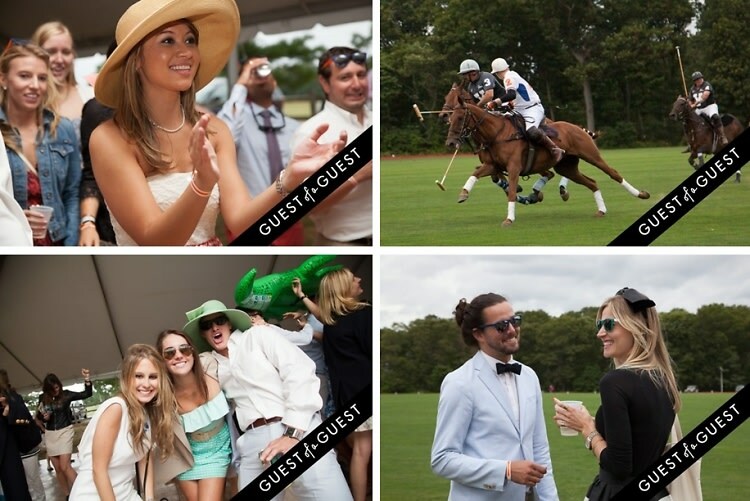 Past Harriman Cup honorees include polo superstars Nacho Figueras and Nic Roldan; UVa alumnus David Walentas of Two Trees Farms and the Bridgehampton Polo Club; Lezlie Hiner, who founded the highly successful Work To Ride Program; and Ambassador William S. Farish III, the former Chairman of Churchill Downs, who also graduated from Virginia. After a brief bike polo exhibition, the annual polo match commenced at noon between the alumni teams from the University of Virginia and Yale. For the 5th year in a row, the UVa squad triumphed once again with the final score of 16 to 7. Go HERE for more photos of the event by Debbie Miracolo and tag yourself and your friends!